The “wavecast” is looking good for the Unsound Pro this week!!! 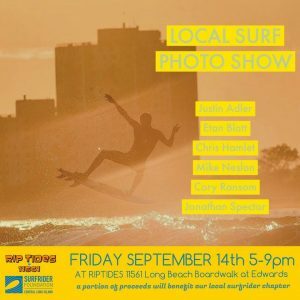 After taking in the action, come chow down at @riptides11561 this Friday September 14th from 5pm-9pm and enjoy the work of several prominent local surf photographers. Music and good vibes…and a portion of art proceeds will be generously donated to our @surfridercentralli chapter. Thank you to @riptides11561 and all the artists! !